What you gonna do? You want to get down? get down? - Tell me. it - get down on it. I say people - what? What you gonna do? back up off the wall. come on get our back up off the wall. Get down on it - if you really want it. 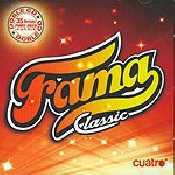 - Álbum "Fama Classic" del año (2008)	.